By SINOCHEM GROUP based in Beijing, CHINA. Why does Research and Development (R&D) have a significant role in our company?. Growing demand of consumers for safe, healthy and high-quality food. In comparison to research on new chemical pesticides, still too less research is invested in natural solutions. 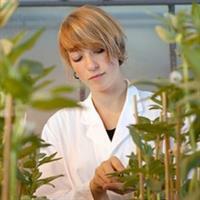 More innovative solutions for research on biological pollination and protection. By Biobest Group NV based in Westerlo, BELGIUM. By B&C Consortia Management, L.L.C. based in Washington, DISTRICT OF COLUMBIA (USA). Based on specialised knowledge and extensive experience Hortilux globally provides tailored grow light solutions to increase our client’s yield per m2. Your requirements and wishes are our starting point. Every situation is unique, at Hortilux we acknowledge this and ensure we provide you with the best possible grow light solution. By Hortilux based in Monster, NETHERLANDS. By Oxford Journals based in Oxford, UNITED KINGDOM. By Envirofield based in Bury St Edmunds, UNITED KINGDOM. By Agritecture based in Brooklyn, NEW YORK (USA). By Jefo based in St-Hyacinthe, QUEBEC (CANADA).